It’s a ripe market for large and mid-size language service providers (LSPs) looking to grow through acquisition. One such company is Transline Gruppe, which has been steadily acquiring LSPs, including boutique local rivals, since private equity investors Lead Equities took a majority stake in the company back in 2014. Lead Equities is a EUR 115m Vienna-based fund that invests in companies based in the DACH region (Germany, Austria, Switzerland). Transline founder Dr.-Ing. Wolfgang Sturz remains a key stakeholder in the company, which is based near Stuttgart, Germany. 2019 has started out busy for Transline with the company acquiring two LSPs since the new year. Transline wasted no time closing the first deal with Interlanguage on January 1, 2019, and the acquisition of Medax followed three months later on April 1, 2019. The terms of the transactions have not been disclosed. Slator reached out to Katja Schabert, CEO of Transline to find out more about the deals. Interlanguage was founded in Modena, Italy, in 1986 by three linguists, Antonella Abbati, Susanna Ferretti and Paola Modica, Schabert said. The company specializes in, among others, marketing and video translations and has grown to 20 employees. Interlanguage was known to Transline prior to its sale since the two companies had an existing working relationship, having collaborated on customer projects for a number of years. Transline’s second 2019 acquisition is a Germany-based medical translations company, located just outside of Munich. Medax was owned by Christoph Dunne prior to its sale and had 12 employees, Schabert said. The company was introduced to Transline by AIOS Consulting GmbH, a German tax, audit and consulting company. 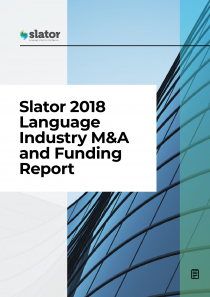 For Transline, which was founded more than 30 years ago and established its niche translating technical documentation, “Medax complements our portfolio with the field of medical translations,” Schabert told Slator. The owners of both Interlanguage and Medax will continue to play a part in the combined company and “all employees of the two companies will retain their positions,” said Schabert. Christoph Dunne “will stay on board in an advisory capacity while his wife, Mrs. Ursula Dunne, will continue to run the business,” she confirmed. In addition, the three founders of Interlanguage will continue to lead their part of the business. Transline now employs 154 people. Asked about the forecast 2018 revenues, Schabert commented that, “the 2018 turnover of the Transline Group amounted to about EUR 16 million; the planned Group turnover for 2019 is EUR 20 million.” Transline is therefore targeting an uplift of around 25% in revenues for 2019, which for an LSP of its size is not beyond reach. Transline grew by nearly as much in 2018, helped by the acquisition of Wordflow, a specialist in SAP translations which generated EUR 1.5 million in 2017 and was acquired by Transline in January 2018. Another of Transline’s previous acquisitions is the translation unit of marketing and technical communication agency KE-Communication, which it acquired in July 2016. Meanwhile, Transline also divested its Spanish subsidiary through a sale to ADAPT Localization in August 2015. At the time, ADAPT owner Michael Kemmann said that Transline’s divestment was motivated by a desire to strategically realign its business to focus on DACH. 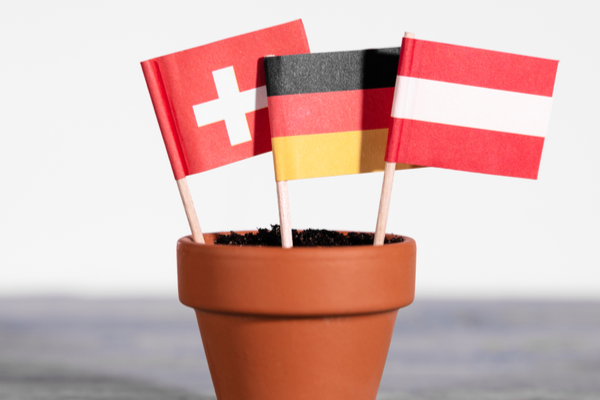 Asked whether the fresh acquisition of Italy-based Interlanguage signals a departure from Transline’s DACH focus, Schabert told Slator that, “in fact, interlanguage is very strong in Switzerland,” emphasising that “our strategy remains unchanged.” According to a release, Interlanguage will be merged with Transline’s Italian subsidiary, Wordflow. Schabert indicated that further synergies would follow although there seems to be no rush since “many of the tools we use are already the same, Trados, Across, MemoQ or Transit for example.” Transline is also working with machine translation (MT) already and is “constantly testing new technologies,” Schabert said. Emnay and AC CHRISTES & PARTNER GmbH were advisors on both deals, while AIOS Consulting GmbH introduced Transline to Medax.